No DepositTaxes IncludedBreakfast includedTis the season to be Jolly! •	12 noon	Check in from 12.00 noon - Mulled Wine and Mince Pies will be served on your arrival to the Castle. •	2.00pm Afternoon Tea Service in the Drawing Room. •	7.00pm Welcome Cocktail Reception in the Drawing Room hosted by Niall Rochford, General Manager. 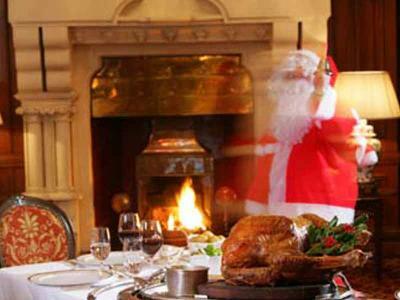 •	7.00pm Christmas Eve Dinner in the George V Restaurant. •	10.00pm Santa Claus arrives with gifts for all guests. •	8.00am - 10.00am Breakfast in the George V Restaurant. •	11.00am Christmas morning Cruise on Lough Corrib–Traditional music and hot whiskeys. •	12:45pm Festive Buffet lunch in the George V Dining Room. •	2.00pm Treasure Hunt in the Grounds or Golf at Leisure. •	2.00pm Billiards competition in the Billiards Room. •	7.30pm Gala BLACK TIE dinner in the George V Dining Room. •	10.00pm Dancing with the Keith McDonald & the Show Band Show. •	10:30am - 1.00pm Brunch in the George V Dining Room. •	1.00pm Cruise on Lough Corrib with Irish music on board. Sheep Herding or Guided walk with local historian. •	7.00pm St. Stephen’s Day dinner in the George V Dining Room. •	8.30pm The McGlade Family will entertain during Dinner. 8.00am - 10.00am A leisurely breakfast followed by a fond farewell. 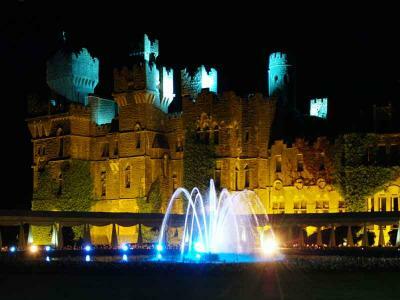 Ashford Castle is legendary for the style of its New Year celebrations, so let us make this special occasion truly unbelievable. •	7.00pm Welcome Cocktail Party in the Drawing Room hosted by Niall Rochford, General Manager.